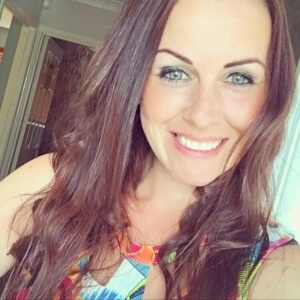 Louise Tompkins – Weight Watchers Wonder Woman! Louise, tell us a little more about your focus and dedication to weight watchers. How it helps your maintain a healthy lifestyle and how you stay motivated? I’m currently maintaining my 2 stone weight loss. I love to cook healthy delicious food and with Weight Watchers nothing is off limits! Seeing my children eat the same nutritious meals motivates me even more to continue being healthy. So how did you discover #ProteinCheese?! 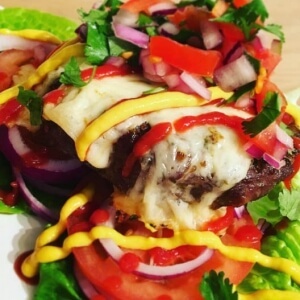 I first discovered Eatlean cheese through Instagram. Lots of people were saying how good it was. So I went straight to the supermarket to check it out! We’re so excited for you to join our team of Female Ambassadors, what does it mean to represent the wide community of inspiring women focused on health/fitness/wellbeing? I am absolutely honoured to represent such a wide community that are passionate about health/fitness/wellbeing as much as I am. 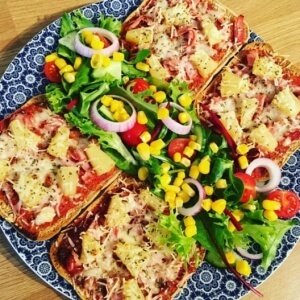 My favourite way to use Eatlean cheese is of course on top of my homemade pizza!